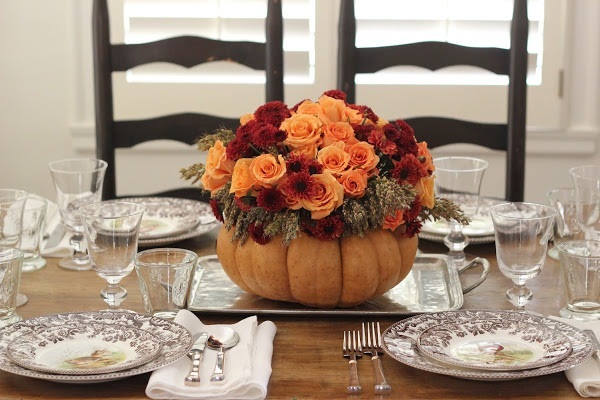 Are you looking for thanksgiving decorating ideas? Thanksgiving is a highly anticipated holiday in the United States and Canada. 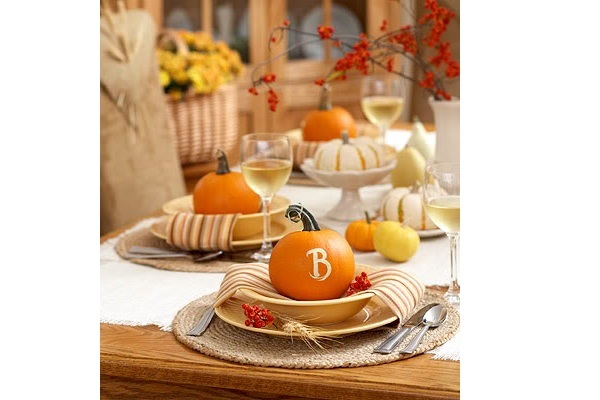 Most homemakers would be looking around for inspiration to make their home ready for the thanksgiving celebration. There are a lot of ways to make a home festive looking and ready for the holiday season. Thanksgiving is an important occasion celebrated yearly on the month of November. Homes are decorated with fall flowers, pumpkins, acorns and other cute decorations that bring the scents of the holiday season. Dried cinnamon sticks, orange slices are fragrant that flourish during the season. There are other smells of course, the scent of foods on Thanksgiving Day. On the big day, tables are laid with sweet delectables such as pumpkin pie, bread, corn and the infamous thanksgiving turkey with cranberry sauce. 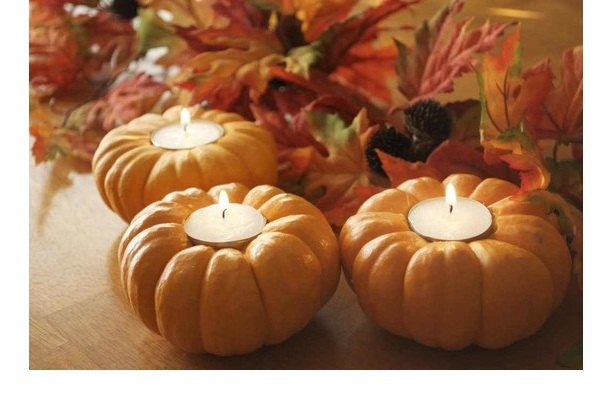 Decorating homes can help welcome your guests this coming holiday. So, I have compiled some of the thanksgiving decorating ideas that I think worth considering for your home. Of course, these are just ideas there is still room for creativity, imagination and natural flair to come out. 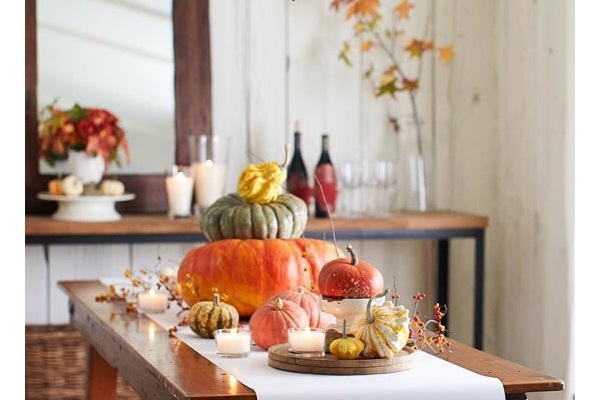 In order to help you out, here are some thanksgivings decorating ideas that you steal to make your home look autumnal and warm for the holiday. There are a lot of seasonal items that you can use for decoration such as gourds, acorns, pumpkins, leaves and harvest corn. Ribbons, cranberries, faux turkey feathers and colors such as gold, orange, burgundy, purple and brown are what you need to have in your home because they scream thanksgiving time. For porch columns and staircase you can wound around garlands. Garlands are also great for hanging on a bathroom or any room. They can position on top a fireplace or across a vanity mirror. 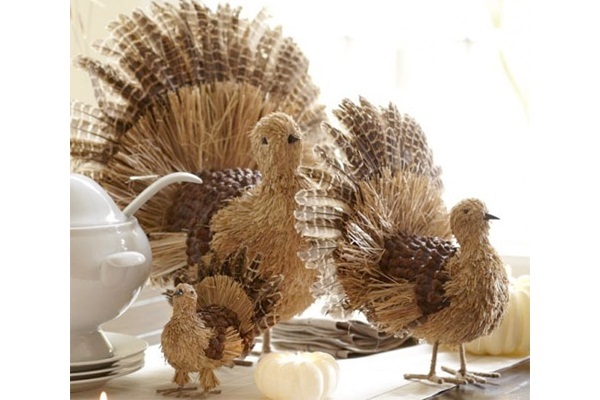 Decorating your home is easy with the right décor like cornucopia. What is a cornucopia? It is a horn shaped, hollow wicker basket often filled with bread, corn and other food harvested during the thanksgiving season. In old Roman, the meaning of the word “cornucopia” is horn of plenty. One of the stories handed down from generation to generation is that zeus was playing with amalthea, a goat and while playing one of the horns accidentally broke off. Because of the accident, zeus promised the goat that the horn would full of fruits that it wanted. Over time, the horn became a basket, but in the shape of a curly cone then the Christian used the image of the horn with fruits as one of the symbols of thanksgiving. Cornucopia became the symbol of bounty until today. 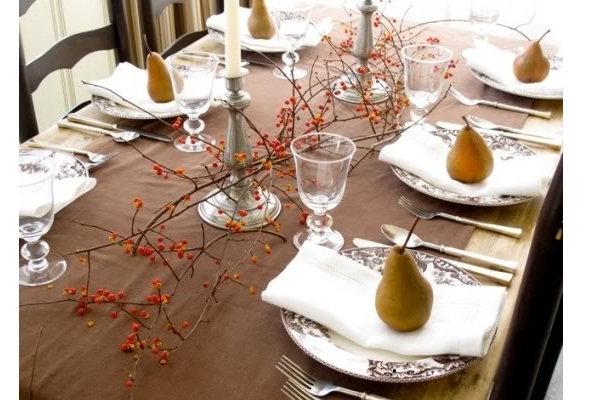 It is often seen in many thanksgiving tables as a centerpiece. You can find different sizes of cornucopia baskets at craft stores. When buying one for thanksgiving décor, choose a basket that is large enough to hold miniature pumpkins and small gourds. There are plenty of examples in this post to give you an idea. 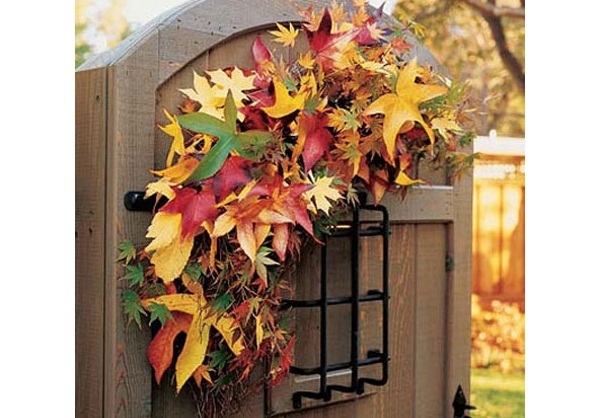 Fall wreaths are a traditional welcome décor in most homes. It is placed on the front door to make your home inviting and charming. Take note, there are many types of wreaths so you do not always have to go with circular shape and greenery type of wreaths. You can even create your own wreaths made of silk wheat fronds and ribbons. If you are buying ribbons always go for purple, burgundy and gold for autumnal look. 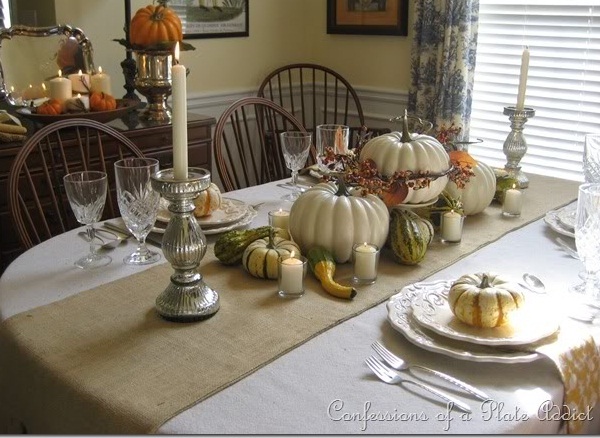 I like the style of the table arrangement from the acorn pattern napkins to the small pumpkins and gourds of different shades. The play of colours yellow, white and green also heighten the homey feel of the table. I love the table decoration, it create a warm atmosphere around dinning table. 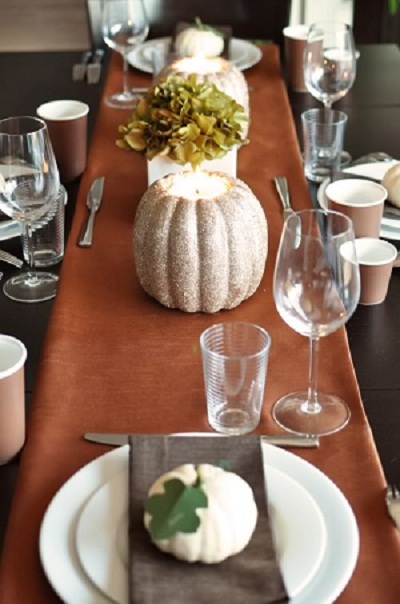 It makes the table feel comfortable and homey, but most importantly perfect for the thanksgiving dinner. From specialty napkins, table runner to personalized menus everything seems perfect. 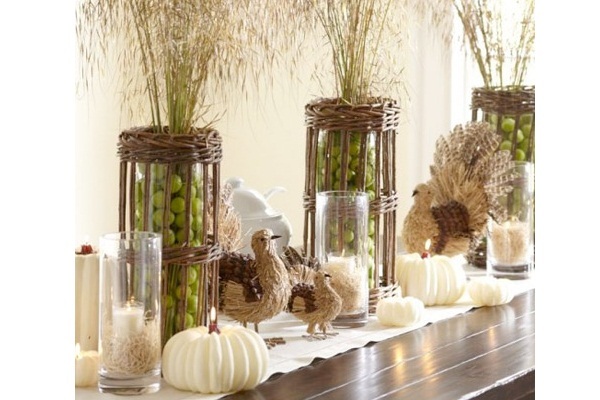 This is great decorating idea for buffet style thanksgiving dinner or lunch. The table setting is simple yet elegant. I love the way the twigs are used. 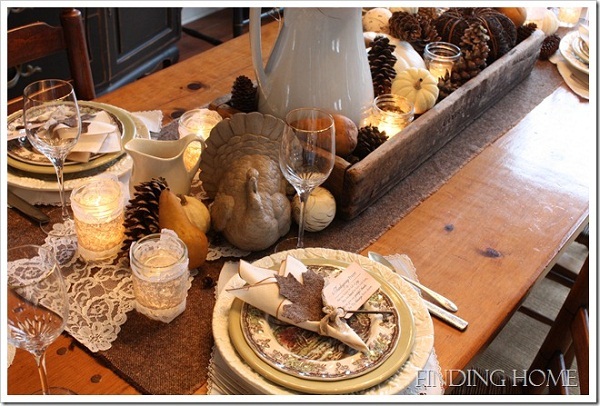 I love the way the cornucopia was used as table centerpiece on this table setting. 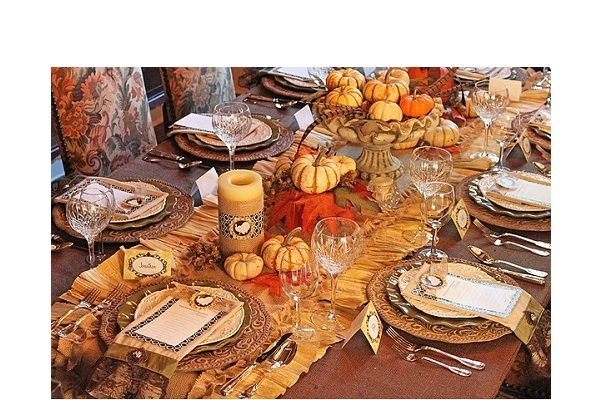 There is only one word to describe the thanksgiving table decorating idea on the image above and it is elegant. The table setting is a great example of vintage look. 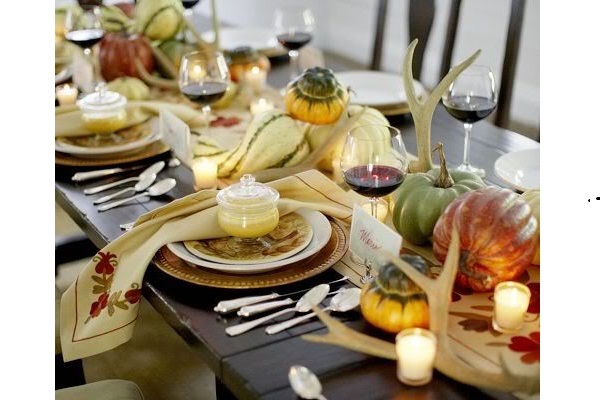 If given the chance to celebrate thanksgiving, i would love my table to look like this. I love the way the vintage lace was laid down on the center and the wooden box placed on top of it. The box was filled with pine cones, ironstone, pears, small pumpkins and apples. I also like the way the wheat was used in the table setting. The prayer tag on a key is a great addition. It add a classic touch the vintage look. 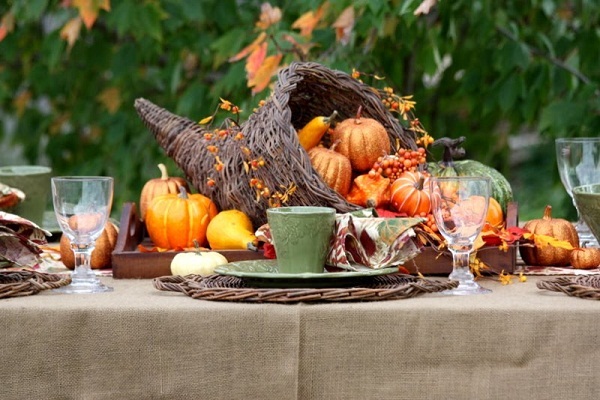 This is a great thanksgiving decorating ideas for outdoor.